Home Money Albert Belle Net Worth: How Rich is Albert Belle Actually? 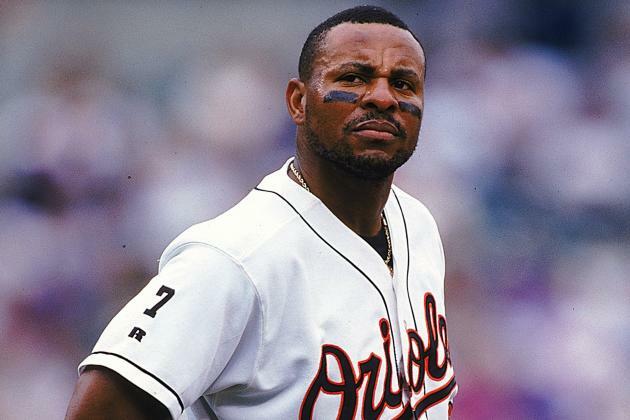 Albert Belle is a retired MLB outfielder who played for the Cleveland Indians, Chicago White Sox and Baltimore Orioles. As of 2018, Albert Belle net worth is estimated to be massive $45 million. Albert was born on August 25, 1966 in Shreveport, Louisiana to Albert Belle Sr. and Carri Belle. His father was a high school baseball and football coach while his mother is a former math teacher. He went to Huntington High School where he learned to play baseball. At school, he was a member of the National Honor Society and Vice President of the local Future Business Leaders of America. In 1984, he was selected to play for the team USA in junior Olympics where he won a silver medal. Belle then received baseball scholarship at Louisiana State University and played baseball from 1985 to 1987. At College, he made 1st team All-SEC in 1986 and 1987. He played total of 184 games with 194 hits, 30 doubles, 49 home runs, 172 runs batted in, 157 runs, .670 sluggish percentage and .332 batting average. Albert Belle was then drafted by the Cleveland Indians and he made his debut for the Indians in July 1989. He played with Cleveland until 1996 and then joined Chicago White Sox the next year. He played with White Sox from 1997 to 1998 and the Baltimore Orioles from 1999 to 2000. The 6 feet 2 inches outfielder was one of the leading sluggers of his time. In 1995, he became the first and still only player to ever hit 50 doubles and 50 home runs in a single season. From 1991 to 2000, he compiled a .295 career batting average and averaging 37 home runs and 120 RBIs. He is also one of only six players in MLB to have nine consecutive 100 RBI season. Recently, Belle was arrested in Arizona on charges of indecent exposure and driving under the influence. He was arrested on two counts of indecent exposure, one count of DUI and one count of DUI with blood alcohol content of .08 or more.